Family Support Services consists of Intake, Case Management and Early Intervention services. These services are provided at no cost to the person or family, however, Medicaid eligibility is preferred. A Case Manager or Early Interventionist can assist you with applying for Medicaid. If you are interested in applying for services for yourself or your loved one who is age 3 or older, there are 2 ways to apply: by phone or online. Click www.ddsn.sc.gov/apply to begin the referral process online. To apply by phone and you have an Intellectual Disability/Related Disability, Autism, or Head and Spinal Cord Injuries, please call 1-800-289-7012 and you will be connected with someone who will gather basic information in order to screen you for services. If your screening is accepted, you will be offered a choice of Intake providers that serve your area, and we hope you will consider choosing Florence County Disabilities and Special Needs Board to provide this valuable service to you. If your loved one is age 0-3 and you are interested in Early Intervention Services, please contact your Babynet/First Steps office at 1-877-621-0865 to make the referral. 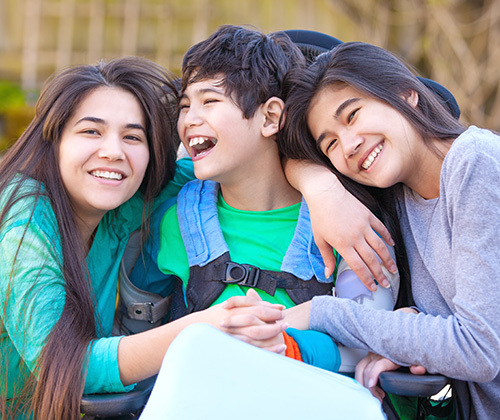 Once eligible for services, you will have the option of choosing Florence County Disabilities and Special Needs Board as your provider for Case Management or Early Intervention services and hope you will consider us to assist you. Your Case Manager will assist you in developing a plan to meet current needs and help you plan for your future needs. Navigating the service delivery system in South Carolina can be overwhelming at times and your Case Manager is prepared to guide you through the process of obtaining needed services. Services are individualized and based on each person. Your Case Manager will assist you in locating various resources to meet your needs. Local and agency based resources include limited Respite funding, Home and Community Based Waiver funding, Individual and Family Support Funding, as well as limited local grant opportunities. There are currently waiting lists for some funding sources and your Case Manager will assist you in applying for each resource that aligns with your specific needs. We encourage Medicaid eligibility as some financial resources are dependent on Medicaid. You can obtain a Medicaid application from your local DSS office or download the application at www.scdhhs.gov . Early Intervention services are available to children 0-5 years old with developmental delays, through our Early Steps program. Your Early Interventionist will work closely with you, your child, therapists and physicians to develop a comprehensive plan for services (Individualized Family Service Plan, IFSP). Your Early Interventionist will also provide needed and ongoing Family Training/Special Instruction to your child in their natural setting (home and at times day cares) based on the needs outlined in your IFSP. Along with hands on instruction and training, your Early Interventionist will also assist you with necessary resource and community connections. If your child is eligible for school services, your Early Interventionist will play a role in and assist you with a transition into the public school system, where your child will receive educational services as well as needed therapies. We hope you will consider our agency to provide Early Intervention services to your child or loved one. If you are your family believes you have an intellectual disability, Autism, a Traumatic Brain Injury and/or Spinal Cord Injury please call toll free 1-800-289-7012.